HEALTH Because of unexpected health problems our program for 2016 was changed. Jocelyne had been aware of diminishing vision in her left eye and presumed stronger glasses were required. But a visit to an ophthalmologist in May set the alarm bells ringing. There was a hole in the macula..! An emergency operation was quickly arranged when the eye's natural fluid was replaced with a special gas. For seven days she had the discomfort of constantly keeping her head facing downwards, thus enabling the inserted gas to remain at the rear of the retina. Thankfully, the operation was a total success. However, for a number of weeks the gradual healing process was carefully monitored by the surgeon. Extensive travel was therefore out of the question. Unfortunately, meetings in Scotland, Italy and Spain had to be cancelled. 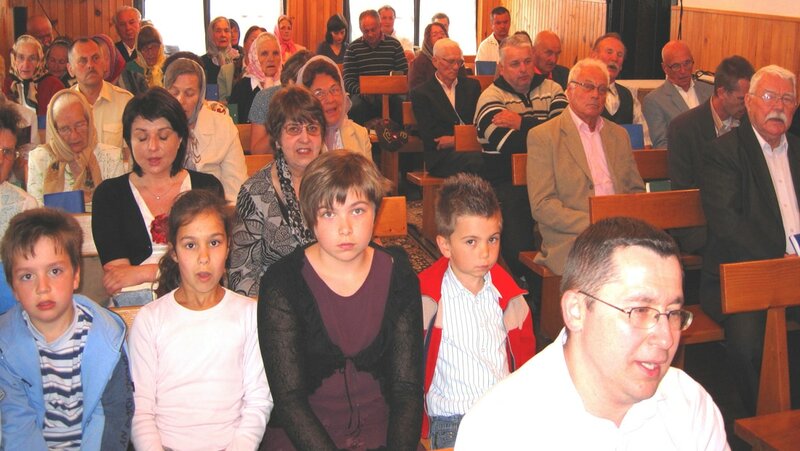 Our activities were of necessity focused on a number of Swiss churches where Ken preaches regularly. POLAND In October we set off on our 27th 'Outreach to Poland'. In the city of Glogow we had the privilege of sharing God's Word in two churches. One Sunday morning three assemblies from the area participated in a united service of Praise and Worship. Pastor Mirek reckoned that around 300 were in the congregation. Many requested prayer; some for salvation; some were seeking a healing touch from the Saviour, while others were in search of Divine help and guidance in difficult situations. We were aware of the blesséd Holy Spirit at work. GORA Ken was invited to minister at the inaugural service of a new place of worship in the town of Gora. We had a wonderful time in God's presence. A good number attended many of whom asked for prayer. As always, when we are in Poland, Pastor Andrzej Guresz was our excellent guide and interpreter. Wysowa We then travelled right across Poland to the town of Wysowa in the east, situated near the Slovak border and 100 kms from the Ukraine. It was our seventh such visit to this picturesque area and we rejoiced with God’s wonderful people in the friendly Pentecostal Church where on Sundays 50 gather together. 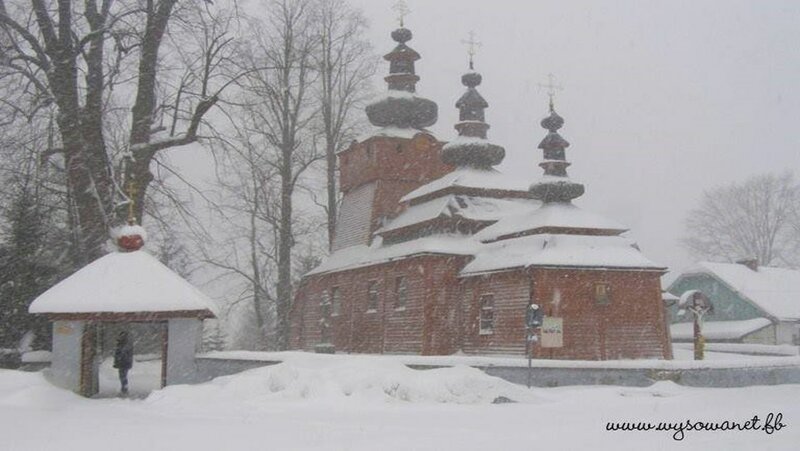 Whilst in Wysowa we were caught in a snow storm; the first of the winter..! GERMANY As it was a long drive back to our base in Switzerland we stopped for the night, roughly half-way, in the ancient cobblestone town of Rothenburg. It's a fascinating place to visit. Altogether, during this 'Outreach to Poland', we covered more than 4,000 kilometres. 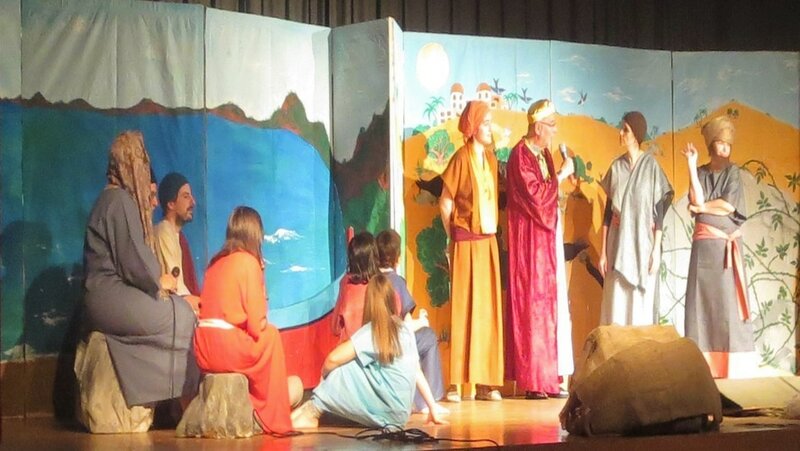 Eventually we arrived home - tired, but oh so glad to have been used of God in the hearts and lives of men and women. 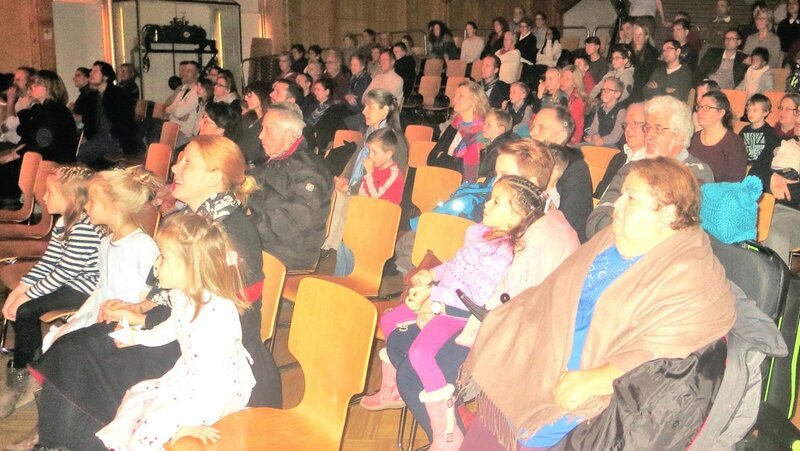 SWITZERLAND In November and December we shared ministry in some French-speaking Swiss churches with which strong bonds of Christian love have been established. In Ps.33/1 David speaks to us about the beauty of fellowship; "Behold, how good and how pleasant it is for brethren to dwell together in unity." DIARY Our diary for 2017 is rapidly filling up. Invitations for ministry have been received from various parts of Europe. In the spring (DV) we plan to visit family, friends and some churches in Scotland. Maybe we'll see you..! THANKS 2016 marked the 40th anniversary of Outreach Europe. Your prayerful interest in the work that we are endeavouring to accomplish for the Lord on mainland Europe is a continual source of encouragement. Thanks so much for your "Help in the Gospel" down through the years, which is greatly appreciated. We pray that the Lord will bless you abundantly every day of 2017.